SPC i u shows a pop-up list of Unicode characters by name, with each name also showing the unicode character. 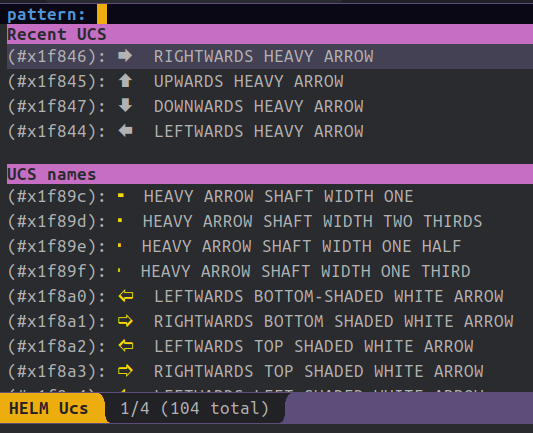 The first time SPC i u is called the unicode characters are loaded, as spacemacs doesnt load them in by default. Loading should only take a second. As the popup list can be narrowed by typing part or all of the name of characters. The list shows a fuzzy match of unicode names that match. C-c 8 RET is the classic way to add Unicode 8 characters, which seems to show different symbols, is that unicode 8 and the other unicode 16 perhaps?